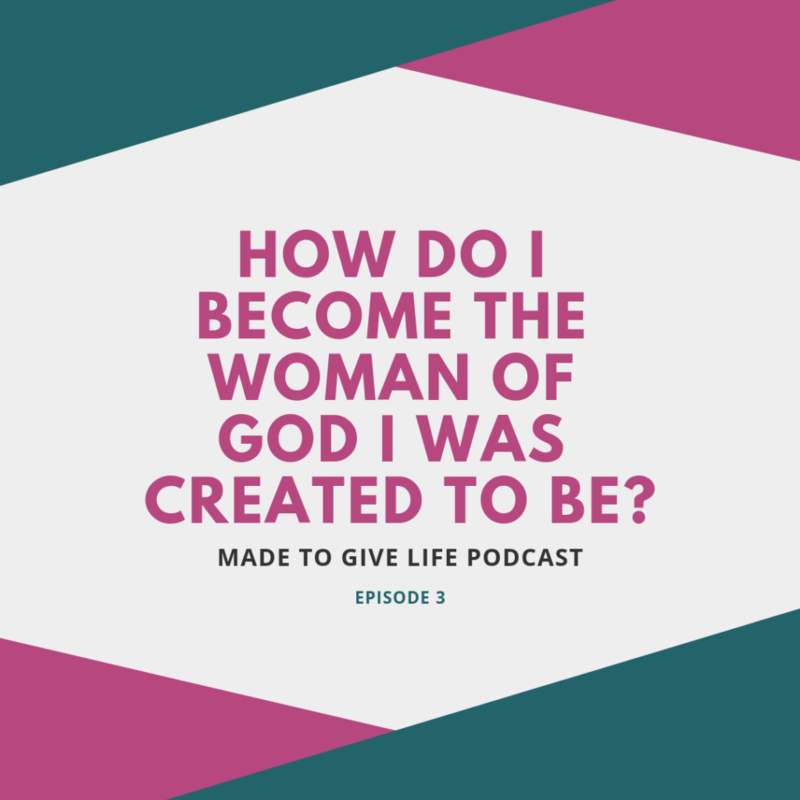 Episode 3: How Do I Become the Woman of God I Was Created to Be? 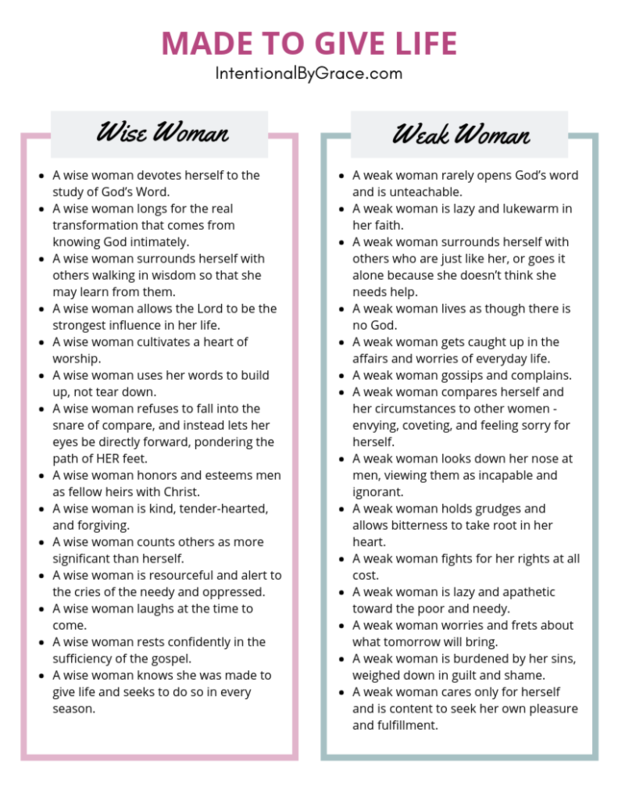 Biblical womanhood is not reserved for just wives and mothers. In every season we are called to give life with our words, actions, and attitudes. 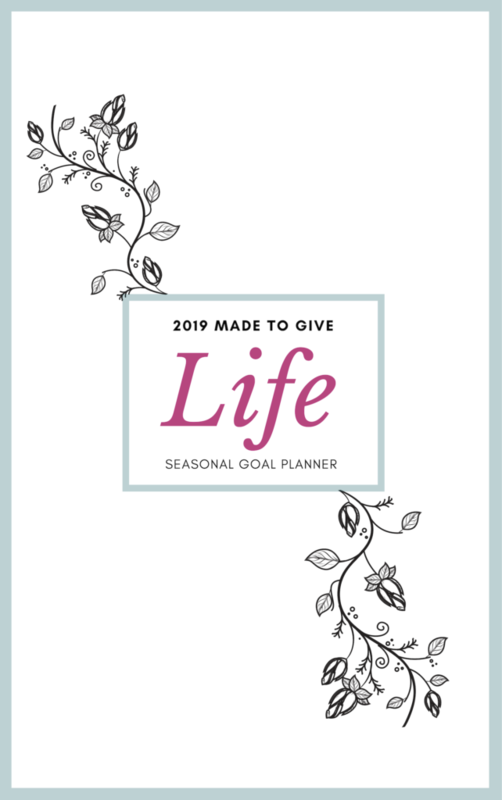 This isn’t just another planner. It’s a way of life. Use the code LAUNCHWEEK20 at checkout to receive 20% off your purchase. Offer ends January 23, 2019. This podcast is jut one of many ways I seek to invest in the lives of women. 1. Listen right here on the blog. You can download the podcast to your computer or listen to it here on the blog. You can see it in the “podcast player” just above this section you’re reading. Simply press play to start listening. 2. Listen on your smartphone, iPad or iPod Touch – There are a lot of great podcasting apps. A quick search from your favorite device should show up a reliable source. Apple has a free one in the app store that we actually use. You can even speed up the play time to make listening go a little faster for you. I listen to most podcasts on 1.5 or 2 speed. 3. Subscribe to the Podcast – You can also listen and subscribe to the Podcast on iTunes by clicking here. The same goes for your favorite listening device. Would you leave a review on iTunes? Since this is a brand new podcast, it would help if you would leave a review on iTunes. This helps iTunes see that this podcast is actually useful, and it will help me get the word out about the Made to Give Life Podcast. Have a Question or Topic You Would Like Me to Cover? Simply send me an email and submit your question. I look forward to growing together with you this year! Ashley is Leigh Ann's Virtual Assistant and loves working behind the scenes at Intentional by Grace. She resides in Northern Illinois, is a former teacher, a current work at home homeschool mom, and is constantly in search for the best recipes.